Awesome space! Friendly staff and good food. A great place in Vernon. Good service, good food, reasonably priced. Enjoyable atmosphere. Great food, great atmosphere, and great place to relax with friends! Super hip new brewpub. Comfortable, industrial feel. Good beer. Good food. Friendly service. 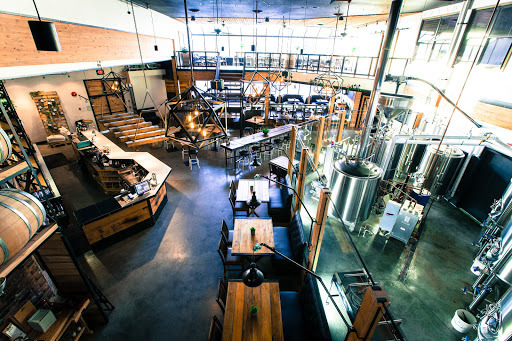 Marten Brewing Co. is a Craft Beer Micro-Brewery Bar & Grill, growing it’s roots in the heart of downtown Vernon BC. We at MBC are stoked to be creating Indy Craft Beer for our district’s locals. Being the neighbourhood brewhouse, where our community can fill up their growlers, while they fill their bellies is what gratifies us wholeheartedly. We always have a screamin’ daily deal on for our colourful crowd, and we host Happy Hour twice on most days! Our appreciation to our loyal locals is what we aim to voice everyday with our products and our environment!